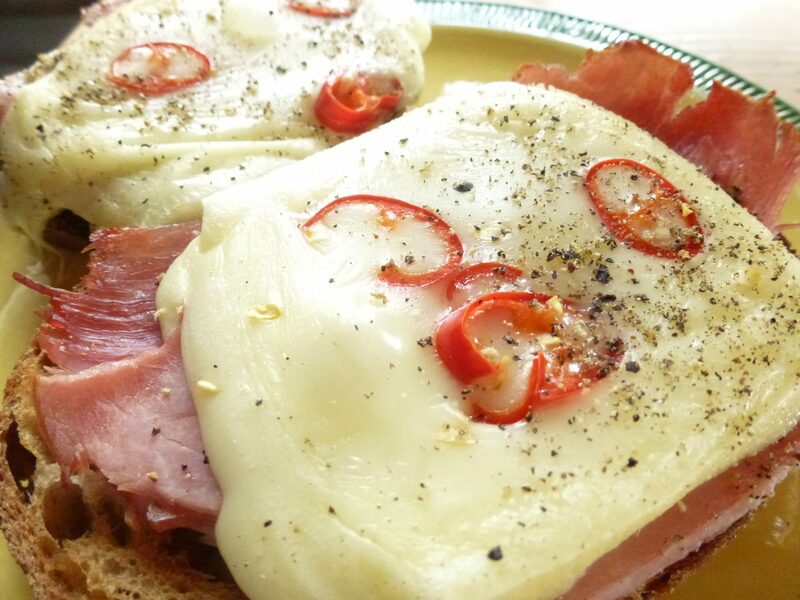 The open face cheese melt with ham and spicy peppers is a simple, open faced sandwich. We usually have this cheese melt the day after we’ve had a Fondue or a Raclette. However, after a delicious raclette or fondue, we seldom have left overs. If you do have extra cheese and are craving a foodie’s version of the grilled cheese, then take note. 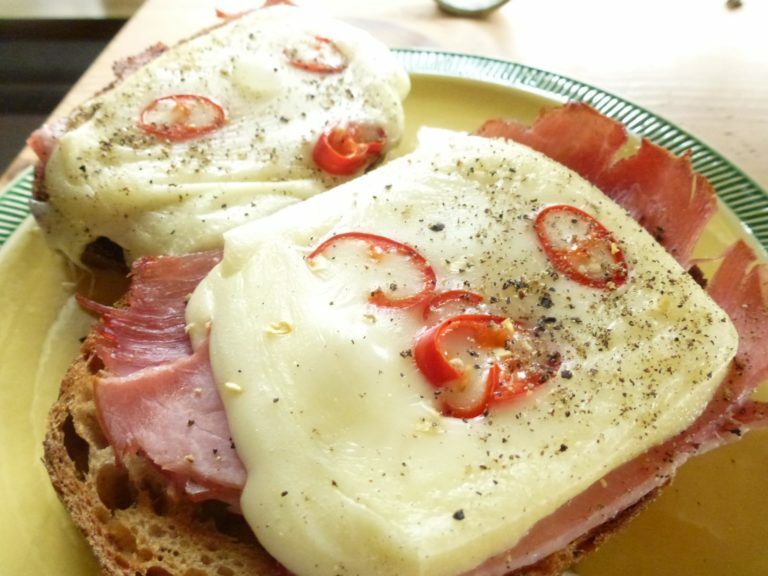 Take a piece of bread, toast it lightly, then simply add a slice of ham or prosciutto, then the cheese and a topping of peppers or pineapple. Bake it in the oven with over and under heat, until the cheese melts. This is a delicious ready-made snack to turn into an entire lunch meal, a light afternoon snack, or a light dinner. Round it up with a little fresh ground pepper from the pepper mill. My family really enjoy this simple treasure, and I hope you find it as delightful as we do. Bake @ 200 degrees Celsius, for about 15 min, or until cheese is melted. Top with a pickle, or whatever else you desire. Eat with hand, or knife and fork.